I’ll use the Bebbington four plus one. Now, David Bebbington was a historian and a sociologist some years ago who tried to define evangelicalism and came up with these four characteristics. I don’t know if that’s fair to suggest about Episcopalians, but I know a several Methodist and Presbyterian ministers who would add a lot of caveats and nuance to their answer. Why did Westside Presbyterian Church of Englewood shut down? Why “In Christ Alone” isn’t in the new PC(USA) hymnal. A huge Presbyterian church in Dallas voted overwhelmingly to leave the PC(USA) and join the ECO. Why? Read and wonder. To complaints in this article I would add another. While I understand and approve of an educated clergy, the period of seminary education necessarily removes the student from the context in which his or her gifts for ministry were first manifested. Since we’re all about contextualization, a key aspect of the missional church movement, it hardly makes sense for the normal case to enforce decontextualization. The idea that Christians are poor tippers apparently has been whispered in service circles for a long time. Many waiters try not work Sunday brunch, so as to avoid notoriously stingy churchgoers, claims Justin Wise, the director of a Lutheran ministry in Des Moines, Iowa. 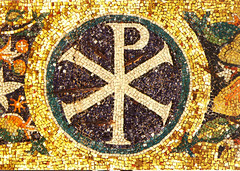 The symbol is a sort of monogram or shorthand meaning “Christ,” and is formed from the first two letters of that word in Greek (“ΧΡΙΣΤΟ&#x03A3″). Those first two letters are, respectively, Chi (Χ) and Rho (Ρ). I’ve known people who got all bent out of shape over the “X” in “X-mas” as if it were somehow demeaning to Christ to use an abbreviation. 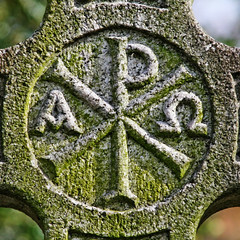 But as these ancient monograms show, the “Chi” (along with the “Rho”) is actually an perfectly legitimate symbol for Christ. There’s nothing demeaning about it. But call it “Khee-mas” instead of “eks-mas” if you want to be an egghead about it! Twenty-odd years ago, I became a Christian, and part of the reason was apologetics, or defenses of the faith. 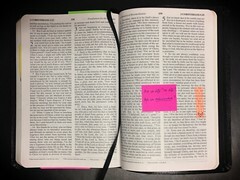 God used several books, including C.S. Lewis’ wonderful Mere Christianity , to overcome my objections to the Christian faith. It turns out I’m not alone. In this article, Max Lucado, a best-selling Christian writer, says that the best apologetic is compassion. He was right. I had some baggage I needed to deal with, and my apologetic reading helped me do that. But it was seeing God at work in and through the community of faith engaged in works of compassion, that enabled me, finally, to put my trust in Christ.